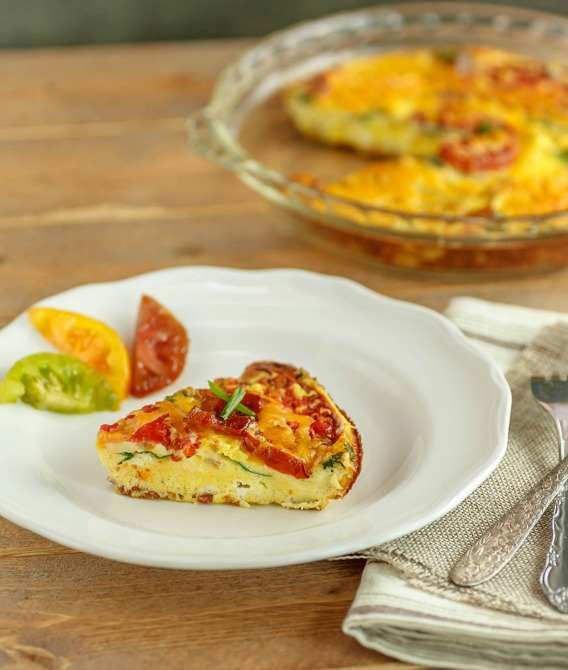 Bacon Spinach Tomato Ricotta Frittata is an easy to prepare, low carb dish that is crust free, gluten free, primal and grain free. Especially quick to whip up if you have leftover cooked bacon on hand. Do people ever have leftover bacon, lol? This frittata is extra creamy from the ricotta, full of healthy spinach, and topped with some tomato slices. Almost forgot, did I mention there is bacon throughout? I used heirloom tomatoes, because I love the colors, but you can use any kind of tomato. I topped mine with optional grated cheddar after removing from the oven so it melts over the top. I also served mine with hot sauce, but I’m slightly obsessed with spicy sauces. Pour the frittata mixture into pie dish. 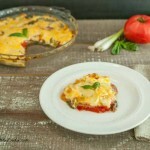 Place tomato slices on top and Bake. A grain free, low carb bacon, spinach, tomato and ricotta frittata. Preheat the oven to 400 °F, and grease or oil a 9 inch pie dish. In a large mixing bowl combine: 5 beaten eggs, ½ cup egg whites, ½ cup ricotta, ½ tsp sea salt, ¼ tsp ground mustard, and ¼ tsp black pepper. Whisk and beat all ingredients together. Make sure to break up the ricotta well. It is okay if there are small ricotta clumps. Add spinach, and crumbled bacon to the egg mixture and stir in. Pour the egg mixture into the prepared pie dish. 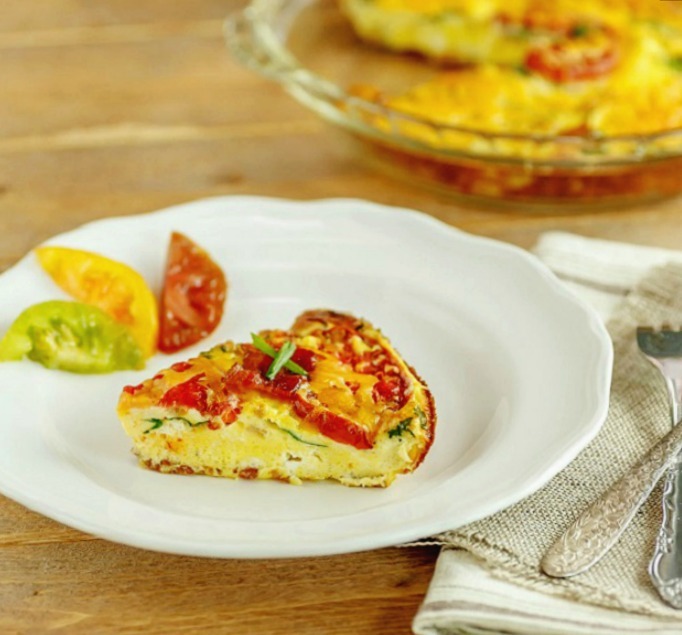 Place tomato slices on top of the frittata. Bake for 30 minutes or until the center is done and no longer liquid. Remove frittata from oven and sprinkle with optional grated cheese. Cool and serve. 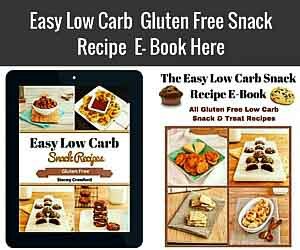 Nutritional Data includes the 1/2 cup grated cheese. I made this for lunch to use up some ricotta, and it was terrific! I didn’t include the spinach and tomato because of my daughter’s preferences, but I included parmesan cheese on top, which was a great addition. Also, I blended the eggs and ricotta in my blender, which made for a nice, smooth mixture. Thanks so much! Thank you so much for trying the recipe and sharing your tips and additions, Jocelyn. 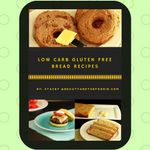 I love the blender idea and the parmesan addition! Oooh yes, I just love ricotta but have never tried it in a frittata! Adding Ricotta is such a great idea, it looks so fluffy in texture. Oh nice! I make one really similar, it doesn’t look this good though! 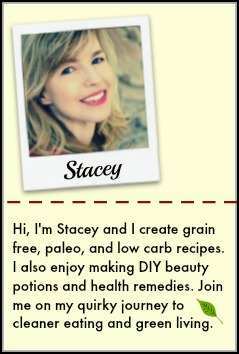 Great recipe Stacey! Bacon plus fresh tomatoes- what a delicious combination! This looks so good and I would love it for breakfast! oooohhhh I bet the ricotta just gives this the BEST test texture! Thank you Cristina. 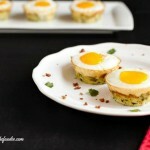 It does give it a creamy yet firm texture to the eggs. Wow. I need to make this soon for my busy morning breakfast. Thanks! Thank you Carrie. it is good to make in advance and reheat during the busy week. Such a perfect dish for quick breakfasts, or breakfast for dinner! Love it! You had me at bacon! And this has me dreaming of sweet summer tomatoes. I’m so ready! I know what you mean Katja, I’m waiting for those heirloom tomatoes! Stacey I can never say no to eggs. I just had dinner now I want this ricotta frittata. This is so so so good !!! This sounds so good! I would eat this for breakfast, lunch and dinner. Love that bacon and those beautiful tomato slices in there. Frittatas are seriously the best breakfast. Can’t wait to try yours! 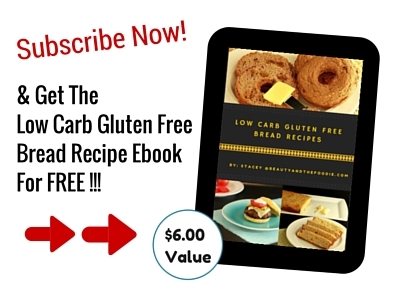 I love the ring to the name of this recipe… not to mention how delicious it looks and sounds! Gotta make this! 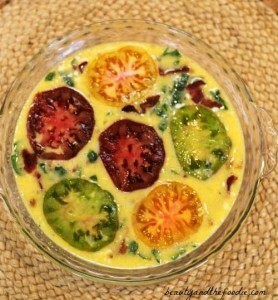 Those heirloom tomatoes – miss them! This frittata needs to find a place on my meal plan next week. I love making frittatas as part of a weekly meal prep because they’re so easy to grab and go for any meal, and this bacon one looks pretty amazing! Looks delicious – the perfect Saturday lunch dish! I’m not eating dairy at the moment, but I can totally see this in my kids’ future either as a late weekend breakfast or a lunch with a salad. Looks yum! 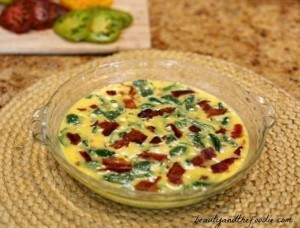 I love frittatas and this has such a great mixture of flavors! I’ll have to make this for my family! Oh I bet that ricotta makes it so creamy and dreamy! 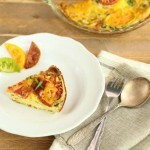 My girls LOVE frittatas – I’ll have to make this one soon! I love frittatas! This one looks yum! This was quite tasty, however I added some grated cheddar and 1/2 cup of heavy cream into the egg mixture. Took a little longer to cook but was nice and creamy. I eat kosher. Would this still taste as good without the bacon or should some type of meat be added for flavor purposes? Stephanie, my friend that eats kosher uses grass fed beef bacon. She said it is at the grocery store and it might even be a kosher store she goes too. I have seen it at whole Foods market. Hi just made this for the first time as trying to follow low fermentation diet. How long will it keep in the fridge pls! Nicola, I have kept it in the fridge for up to a week. I am allergic to something in egg beaters so I don’t use any kind of egg whites in a carton. Can I just use regular eggs, yolk included or does it have to be just egg whites for the 1/2 cup? Jennifer, I don’t use egg beaters, I use 100 % organic egg whites (no gums or additives just egg whites). Might not be available at all stores though, but you can use whole eggs (yolks and all) instead of separating all those eggs. If you just use eggs how many would you need or do you just measure them equal to 1/2 cup? I can’t wait to try this as I have lots of garden fresh tomatos. SOOO tired of seeing the comment about NEVER eating bananas, just to give this woman business! I’ve lost 50 lbs in 5 months low-carbing! 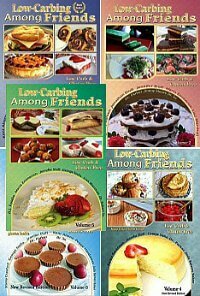 🙂 However, if you go TOO low carb, you can get depressed and sluggish, which is what happened to me! So, I have a small banana, as green as I can stomach it, and I don’t get depressed. Bananas are a WONDERFUL food, just don’t eat a huge, very ripe one! I’m a science, etc., teacher and also studied in R.N. school. Hi Susan, congratulations on your amazing weight loss!! I agree with you on the banana debate. A little banana or apple in moderation will not ruin the diet. I eat the banana, apple and carrot in small amounts and still manage to stay moderately low carb. I did not eat them in Induction phase, and I became weak, sick, and depressed. So, I introduced a little fruit back in my diet and immediately felt better. I think if you eat them in small amounts it is okay and healthy. Only a problem if bananas are a trigger food for someone. Wonder how this will do in muffin cups and frozen. Do the sides burn easily? 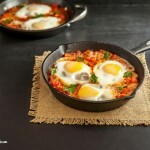 I cook for one and think it might be great for easy breakfast. Suggestions welcomed. Dee, I think these would do well in muffin cups. If your worried about burning in the reheating process, then you could just take them out a little sooner (slightly underdone) for reheating. Also, you can use the baking cup liners that keep them from the metal sides of the pan. This looks beautiful and delicious =P I had something similar the morning after Thanksgiving with leftover ham and turkey. I have to say it was pretty amazing! Thanks Tash, frittata is great for left-overs and cleaning out the fridge.